(100) of Johnstown passed away September 14, 2018 at Laurelwood Care Center under the loving care of Amber Springs staff and Grane Hospice. Born December 11, 1917 daughter of John and Mary (Semankovich/Felix) Lesko. Preceded in death by her parents, husband of 65 years George Sr. who passed in 2002, brother John Lesko and sisters Mary Muchesko, Margaret Lesko and an infant sister. Survived by son George Sr married to Evelyn (Matchik), daughter Pani Constance married to the Very Reverend Protopresbyter Frank P. Miloro, all of Johnstown, and grandchildren Tamara, married to Deacon Gregory Benc, Watchung, NJ, Sonya Evanisko, Shepherdstown, WV, George Jr, Gainesville, VA, Alexandra Vatuvuk, Stephanie married to James Kobal, Christopher married to Roxanne (Kordish), all of Johnstown, Anastasia and husband Nick Tabb, Shepherdstown, WV. 16 great-grandchildren Victoria Schmidt, Michael Long, Tatianna Evanisko-Long, Jonah Strenski, Alexandra Benc, Anastasia Benc, Kyra Vatavuk, Symeon Kobal, Katarina Vatavuk, Sophia Evanisko, George Evanisko III, Xenia Kobal, Nicholas Benc, Nykos Kobal, Alexander and Asher Tabb. And many nieces, nephews, great-nieces, great-nephews, cousins and friends. Anna was a founding lifelong member and the oldest parishioner of Christ the Saviour Cathedral. 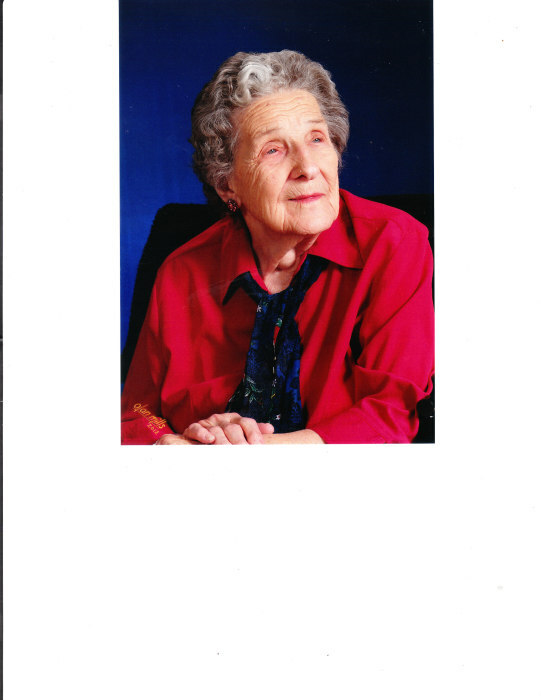 She served for many years with the Mothers and Daughters Club and the Parent Teachers Guild. She worked for years at the Cathedral Bingo and Educational Center events. She was a baker known for her “medovniki”, apricot roshki and chocolate chip cookies. Anna was the official Cathedral “bake sale cake lady”. Family and friends will be received from 10:30 AM until 7 PM Sunday at Moskal-Reid funeral home where Panachida Service will be held at 6 PM Sunday. There will be a brief service at 9:30 AM Monday at the funeral home followed by Funeral Service at 10 AM at Christ the Saviour Cathedral, the Very Reverend Protopresbyter Frank P. Miloro and the Very Reverend Protopresbyter Robert Buczak con-celebrants, Committal Cathedral Cemetery. In lieu of flowers contributions are requested to the Cathedral Eternal Memory Fund.